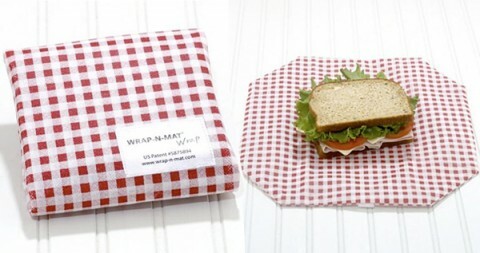 Wrap 'n' Mat is very cute reusable sandwich wrapper. It is with velcro and it is machine washable. How cool is that?